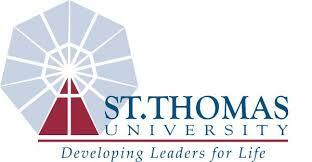 Renowned for leadership development in justice, science, business and ministry, St. Thomas University is celebrating its 50th Anniversary. Its academic expansion now includes unique degrees in global entrepreneurship and international business, sports administration, intercultural human rights and undergraduate science research conducted in state-of-the-art laboratories. A small-class size, private university is the competitive advantage that allows students to reach their highest potential. St. Thomas University is the home of Biscayne College; schools of Law; Science, Technology and Engineering Management; Business; Leadership Studies; Theology and Ministry; and a wide variety of extracurricular, spiritual and community-oriented programs, all designed to further our students̠ goals and leadership abilities.Today, St. Thomas University is in the midst of one of the most exciting periods in its history. The Fernandez Family Center for Leadership and Wellness is an athletic and educational hub serving as the home to the University̠s School of Leadership Studies, the nationally renowned Sports Administration Programs and the basketball and volleyball teams.With the opening of the Carnival Cruise Lines Science and Technology Building, St. Thomas University has dramatically increased its undergraduate research abilities and is beginning to offer nationally unique science programs like the STEM (Science, Technology, and Engineering & Mathematics) FELLOWS cohorts. The Fellows program offers selected minority students with outstanding academic records the chance to pursue research-based majors in biology, chemistry, and mathematics. These baccalaureate students will be prepared to compete for entry into the finest graduate science, mathematics, and medical programs in the nation.From the new athletic facilities to the expansion of academic programs and nationally recognized undergraduate research, our campus will have a lasting impact on our students for generations to come. The St. Thomas University experience, which includes a Study in Spain program, a United Nations internship and travel to Haiti, is a laboratory for life in the coming decades with people of many cultures sharing ethical values and bringing about positive change in their local communities. You have served our country proudly and we at St. Thomas University want to ensure that your educational experience is both rewarding and stress-free. To that end the university is committed to providing you with the necessary tools to support your academic success.